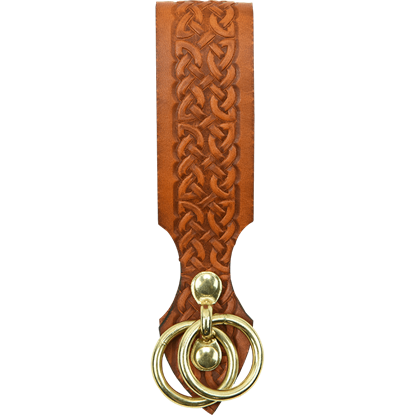 Our Celtic Tankard Strap is simple, functional, and very affordable! Hang your tankard or mug from these mug frogs when you are not using it. 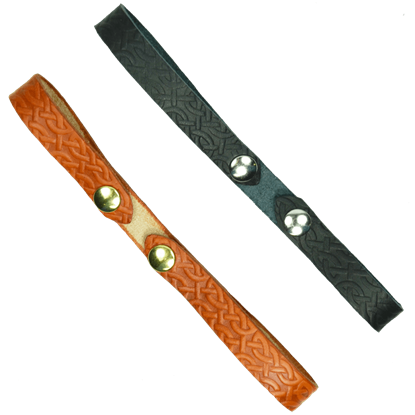 It is available in many colors and has Celtic Knotwork embossed down the length of it. 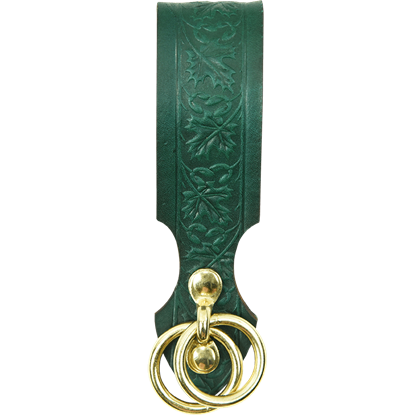 Our Embossed Celtic Skirt Hike is a fantastic essential for the wardrobe of any medieval maiden or lady pirate. 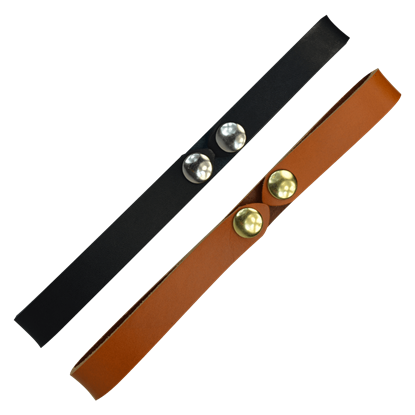 Keep your skirt from skimming the ground or show off layered skirts with the help of this leather skirt hike. The Embossed Woodland Skirt Hike brings the charm of nature into historical and fantasy outfits of all kinds. 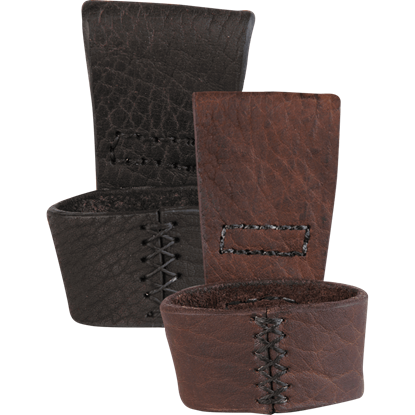 This leather skirt hike is embossed with a beautiful leaf pattern, making it a versatile and stylish wardrobe staple. Need more means to carry your gear? 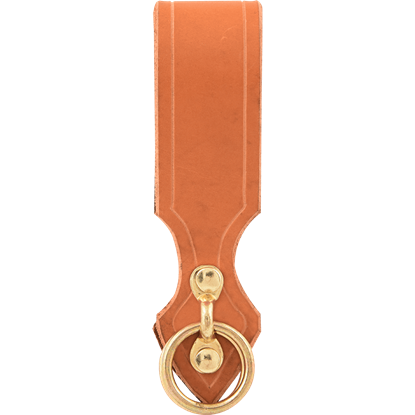 Our Leather Belt Slide with D-Ring is the perfect solution. 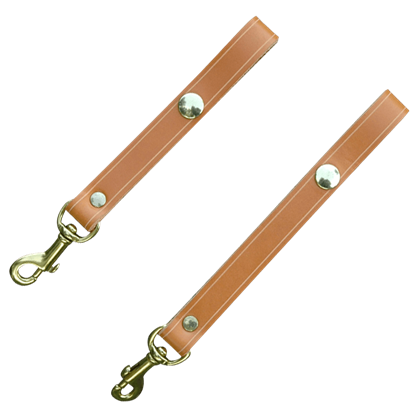 This incredibly versatile leather accessory provides a convenient D-ring for hanging or clipping just about anything to your person. 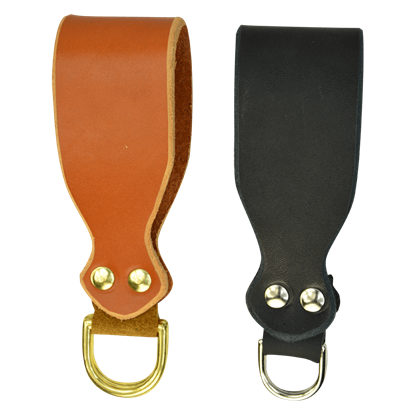 Our Tankard Strap is simple, functional, and very affordable! 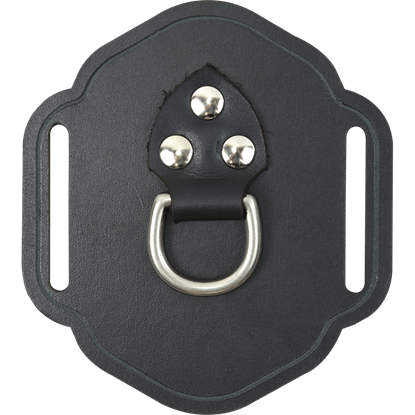 Hang your tankard from these mug frogs when you are not using it. 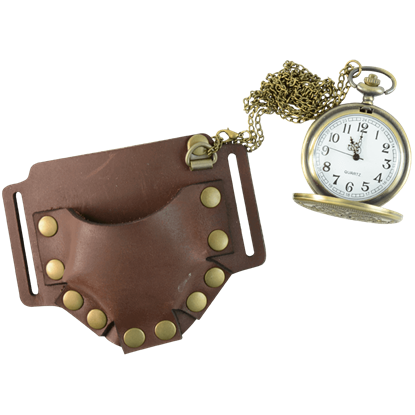 It is available in black with silver snaps or brown with brass snaps and will fit up to a 4 inch belt. This Simple Skirt Hike is just want you need. 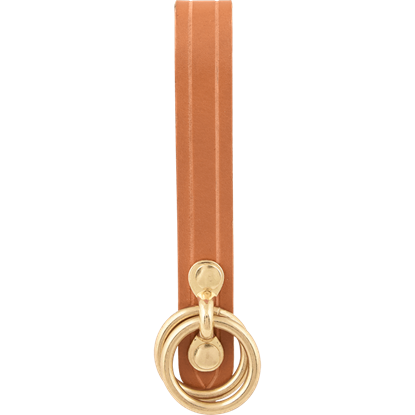 A three-quarters inch strap of leather that will fit up to a 3 inch wide belt with two O-rings attached, this accent will secure your skirt for a quick change in your outfit. Skirt Hikes are a must for any wench. 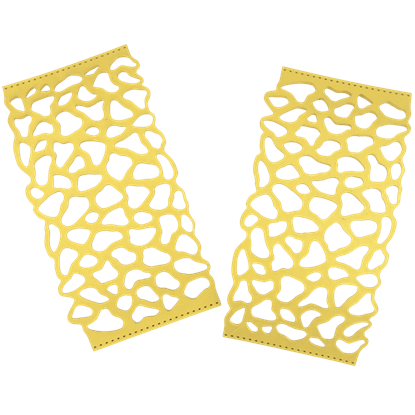 They are great for keeping your skirt out of the mud and you can expose multi-layered skirts in contrasting colors or hike up a long skirt to just the right length for you.